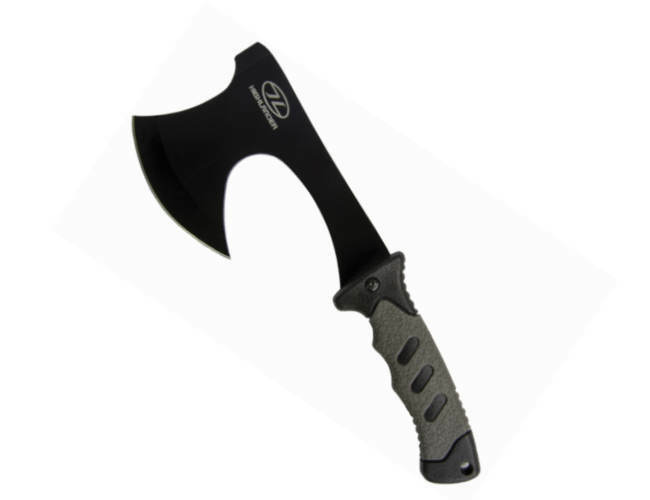 This is a light Survival Axe made from carbon steel which is tool steel and tough. Made by drop forge method with a black finish. The top edge is finely sharpened to an edge similar to a chisel. It has a handle which has been designed to fit into the hand and feel comfortable. Added extras include a lanyard hole and a tough nylon pouch | sheath.